Let’s learn how to cook green tea rice! We challenged culinary author of Azorean food blog Chez Sonia to come up with a recipe using green tea as the main ingredient. She quickly proved to be more than up to the task by creating this original rice recipe flavored with Gorreana green tea for us to try, taste and share. Have you ever cooked with green tea? Well, this is your chance to add great flavor to ordinary white rice with this really easy-to-follow recipe that Sónia has provided for us. Let’s head to the kitchen and cook great rice! There is nothing easier than cooking white rice and this twist on that simple recipe requires very little ingredients. The original green tea used for this recipe is Gorreana, grown in Azores. If you do not have this particular green tea, you may replace it with Chinese Hyson tea. The idea behind this green tea rice recipe is incredibly simple. Cook your white rice as you normally would, but replace your water with freshly brewed green tea. Let’s go through it step by step. 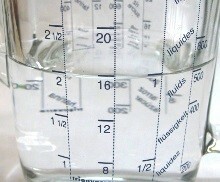 Measure 500ml of water (approx. 2cups) and heat it to 70ºC – 80ºC (158ºF - 176ºF). This is green tea, so do not pour boiling water over the leaves or you will risk cooking them and destroying the health benefits green tea has to offer. Place 1 tablespoon of green tea in the hot water and let it brew for about 5 minutes. 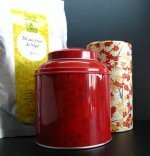 Let the tea brew for a longer period of time if you wish to make a stronger tasting tea. Once the tea reaches the desired strength, pour it into a pan, making sure to use a strainer so that the tea leaves do not fall into the pan. Now bring it to a boil. 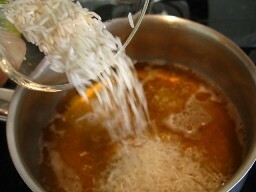 As soon as the tea begins to boil, pour the rice into the pan and add a tiny pinch of salt to season. The idea is that the liquid should be about twice the volume of the rice being cooked. About 350ml (1mug) is usually sufficient to cook rice for two people, use the same cup or mug to measure half the amount in rice. Stir the rice once in a while and let it cook until the water has been totally absorbed by the rice. And once the water is almost all gone, add a bit of olive oil and stir it in. This rice will be a little darker than your regular white rice due to the green tea. Another way of making this rice recipe is by making the tea at the same time as you cook the rice. 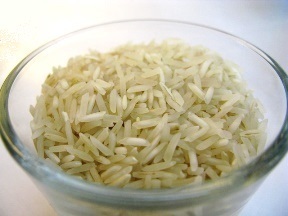 Place the water in the pan, letting it boil, and then adding rice as you regularly would when making white rice. Put the tea leaves in a tea ball and add it to the pan as the rice cooks. However, this is not advised as you will be cooking the tea leaves in boiling water and also preventing them from freely swirling in the pan to brew properly. Follow the remaining instructions to finish cooking the green tea rice. Note: Only use this as a last-minute solution, if you really can’t spare the 5 minutes at the beginning of the recipe. Gorreana green tea is grown in the only industrial tea plantation in Europe. More precisely, this tea is grown in the Portuguese islands of Azores, in the Gorreana Tea Estate since 1883. These islands in the middle of the Atlantic ocean provide the perfect climate to produce great teas. 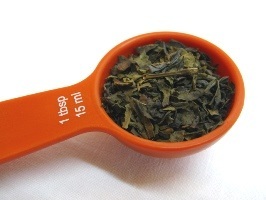 Though the most common type of tea grown is black, there is also Gorreana green tea. 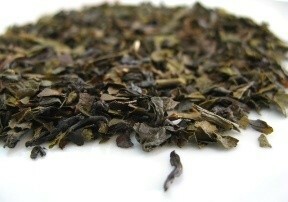 The tea leaves are twisted in the same fashion as Hyson tea, which is a Chinese green tea also known as Lucky Dragon tea. Learn more about Hyson tea and its benefits here. You will find the original recipe, in Portuguese, in the Chez Sonia culinary blog here. Take look at this and other wonderful recipes Sónia has to offer. 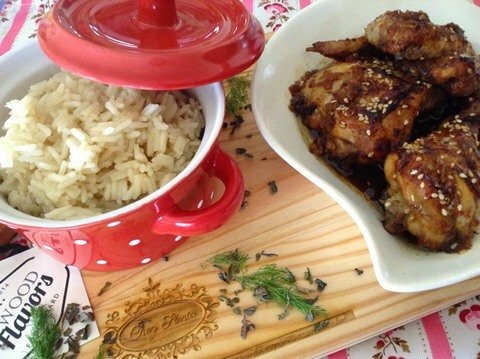 For example, she pairs this flavorful green tea rice with her tasty honey glazed and soy sauce chicken. Green tea may be used to add another layer of flavor to your dishes and hopefully this recipe will help you find new and healthy ways to cook your meals. enjoy this wonderful green tea rice!